When one thinks of New York City, country music does not normally come to mind. Country music tends to come from Nashville, TN or maybe even Austin, TX, but newcomer Brian Mackey will change your perspective. His latest album "Broken Heartstrings" has been two years in the making and has become a way of him dealing with recent personal losses that he has recently suffered. The new nine-song release begins with the folk/rock of "Captain Of The Moon" as his vocal styling evokes a young Neil Diamond as he hooks you in with his warm tones. The album's first single "America" is a traveling country song that is just inspiring to listen to with its acoustic strumming and banjo highlights. He finally plugs in for the country rocker "Philadelphia" and faces some demons in "The Day," before closing with the personal piano ballad "Are You Listening," which questions why things happen the way they do. 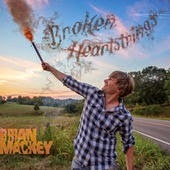 To find out more about Brian Mackey and his new album "Broken Heartstrings," please visit brianmackeymusic.com. Next, from San Francisco, CA comes the debut EP from the exciting new rock band Vintage Suns. The five song EP brings back that classic hard rock sound of the seventies with a modern, sunshine California vibe. Beginning with the edginess of "No Matter" and the guitar riffs of "Garbage" you get a sense that Vintage Suns are the link between modern hard rock and the sunset strip metal of the late eighties. The band excels with the addictive chorus of "Poison," before closing the album with the mellow, acoustic "unplugged" sounding "Sun Shines." 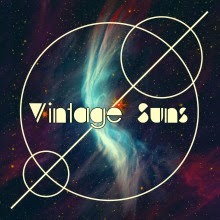 To find out more about Vintage Suns and their debut EP, please visit vintagesuns.com.